Shopping for Captain America Stickers? Celebrate 75 years of heroism with this Captain America 75th Anniversary Decal - Previews Exclusive! Cap has been one of the most iconic superheroes in the Marvel universe and now you can show your love and support with this set of decals. Each decal is made with high quality polyester and can be used for both outdoor and indoor use. 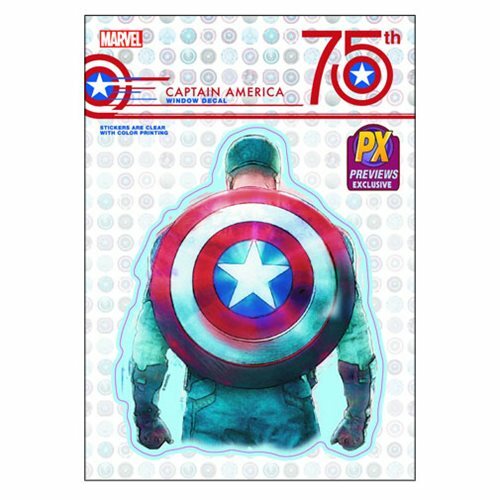 Show your love with this Captain America 75th Anniversary Decal - Previews Exclusive!